GALLIPOLIS — Hollywood paid a visit to Gallia County on Saturday to lend a helping hand with some recently displaced animals. Kata Mara, whose movie and television credits include “We Are Marshall,” “House of Cards,” “The Martian,” “Iron Man 2” and “Shooter,” among others, was in Gallia County to help the Humane Society of the United States care for the 70 dogs that were rescued Thursday from a property in Patriot where they were living in deplorable conditions. The Daily Tribune will have much more on this story for Tuesday’s editions, but you can watch the video now. 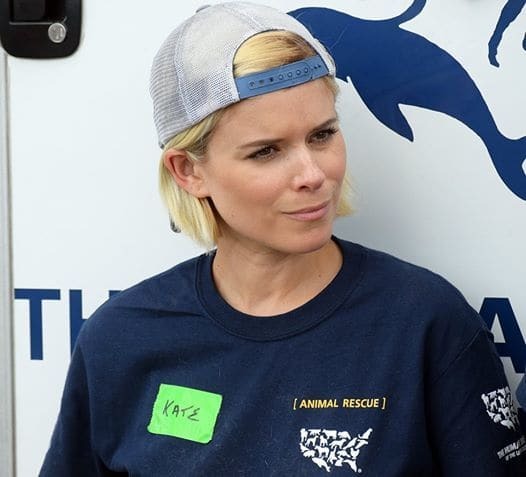 Actress Kate Mara visited the 70 dogs that were rescued Thursday from a property in Gallia County. The dogs are being housed at an undisclosed location, where Mara, who volunteers much of her time for animal causes, and members of the Humane Society of the United States are helping to care for them.